When someone has one or more missing teeth, there are alternatives to conventional bridges, partials or complete dentures. One of these alternatives is to get dental implants. Although more costly that traditional options, dental implants offers many advantages: they function very much like natural teeth, thereby offering better comfort when speaking, chewing and biting, and they help keep surrounding natural teeth properly positioned. An implant supported crown seeks to reproduce the actual constitution of a natural tooth. In order to do so, a titanium root is screwed directly into the jawbone and functions very much like a natural root, thereby allowing an artificial tooth (the actual crown) to be cemented onto it. When more than one successive teeth are missing, it is possible to make an implant supported bridge, but contrary to a non-metal bridge, an implant supported bridge does not involve the filing down of the teeth adjacent to the ones that have to be replaced. In short, implant supported crowns and bridges basically mimic natural teeth both in terms of appearance and function, without having to proceed to the alteration of remaining natural teeth. 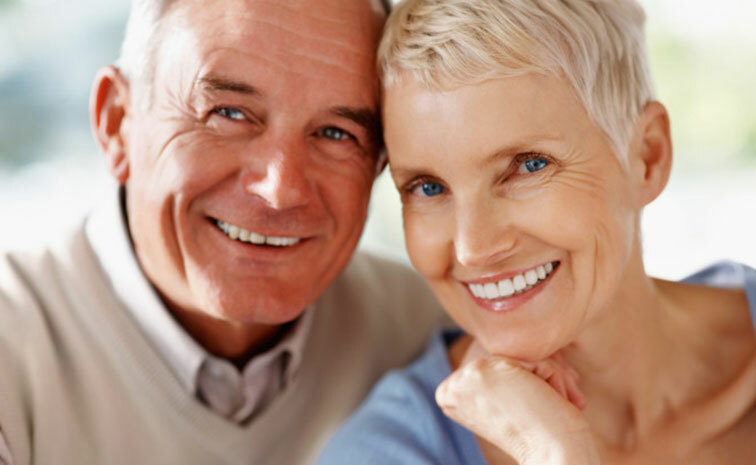 Of course, implant supported crowns and bridges constitute demanding surgical procedures that call for a lot of planning and a few appointments spread out over several weeks. Digital X-rays have to be taken in the very first place not only to plan the fabrication of the crown or bridge by a dental laboratory, but also to plan the introduction of the implant itself which has to be screwed into the jawbone. The patient who is getting the implant is obviously given a local anaesthetic and the surgery can involve the collaboration of specialists other than the dentist himself depending on the degree of surgical complexity. After the implant is screwed, an abutment has to be attached to it; this abutment is a post that links the implant to the new artificial tooth. Individualized planning is essential because dental and mouth constitutions differ from one patient to another.